A stock loan, also called securities lending, is a function within brokerage operations to lend shares of stock (or other types of securities, including bonds) to individual investors (retail clients), professional traders, and money managers to facilitate short sale transactions. When stock traders, money managers, or investors think a particular stock is going to drop in value in the near future, they ask a brokerage to loan stock to them so that they can put it on the market and find a buyer. Once the loaned stock sells, the trader waits for the stock's price to drop, buys it at the lower price, returns it to the brokerage firm from which it was borrowed, and pockets the proceeds. In a nutshell, a short sale transaction is selling something the investor doesn't own at a higher price, then buying it at a lower price later to make a profit. If the stock, once sold, actually increases in price rather than decreasing, the investor must buy shares at this higher price to return to the lender and take a loss on the transaction. To facilitate short sell trades, the short seller must borrow the designated stock for delivery to the buyer. 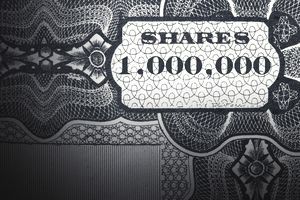 Since most of the stock shares held on behalf of brokerage firms for their clients are registered in the name of the brokerage firm (known as "street name"), these firms can draw upon this pool of shares to lend out. The interest charged on stock loans is typically at the same rate that the firm charges on margin loans. A margin loan is money lent to an investor for the purposes of buying stock. The margin loan allows the investor to buy more stock than she could afford on her own, and she pays interest on the amount borrowed. If the value of the purchased stock drops below the amount of margin loan provided, the brokerage does a "margin call," requiring the investor to pay off the borrowed money immediately. Stock loans involve the lending of stock shares, registered in the name of a brokerage firm and owned by various clients, to someone who must deliver these shares to complete a short sale. These loans of stock earn interest for the firm doing the lending. The effective cost of funds to the brokerage on the shares loaned out is zero because clients are not paid interest for depositing their shares with the firm. For this reason, stock loan departments tend to be hugely profitable, although many brokerages do pay out a portion of the profits back to the owners of the stock. Eventually, the investor, or borrower of stock, will purchase the shares in question and deliver them back to the firm that made the loan to close out the short sale transaction. Brokerages do not typically specify any time limit to close out a quick sale transaction, although they can request a return of the stock at any time with minimal notice, whether it causes a gain or loss on the investor's trade.